Keeping your home cool during the summer months is a necessity. In order to provide for your family's comfort and enjoyment, your air conditioner needs to be kept in the best possible condition. The key to air conditioning maintenance is conducting routine annual inspections and air conditioning tune-ups in New Jersey. 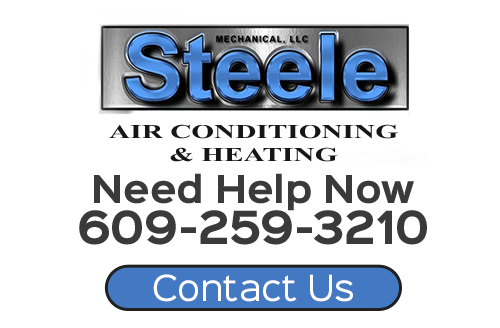 At Steele Mechanical, LLC Air Conditioning and Heating, our air conditioning company is here to provide for all your air conditioning maintenance and repair needs. Our professionals treat our work as if we are home comfort doctors. We diagnose the precise problems that are causing poor system performance and prescribe the best possible treatments. If you need to hire a professionally licensed HVAC contractor to conduct an air conditioning tune-up in New Jersey, call Steele Mechanical, LLC Air Conditioning and Heating today. Our staff would be happy to take your call, to answer any of your questions, and to schedule your appointment today for an air conditioning tune up in New Jersey. According to industry experts, you should have your air conditioner professionally inspected and maintained at least once every year. The best time to conduct said maintenance is during the early spring. Because your air conditioner is dormant during the winter, it can become susceptible to damage after the long period of inactivity. 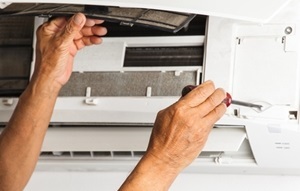 By conducting an inspection before your air conditioner needs to be perform regularly, you can ensure that it is ready for the heavy demands of the summer months. In addition, by conducting your air conditioning tune-up in the early spring, you will maximize all of the following benefits. You and your family are guaranteed to be completely satisfied with the results. When you hire our New Jersey HVAC contractors to conduct routine maintenance on your system, you will save money in both the short and long term. Better yet, throughout the entire service life of your air conditioner, you will enjoy an enhanced level of comfort in your home. AC tune-ups save you money in the short term by reducing the amount of energy that you need to use to achieve your comfort goals. In addition, routine and adequate maintenance is the best was to mitigate repair costs. By improving the energy efficiency of your air conditioner and by preventing damage and extensive repairs, our tune-up services practically pay for themselves. If this was not enough, air conditioning tune-ups also save you money in the long term by extending the service life of your unit. Improved efficiency means that your air conditioner does not need to work for as hard and as long to keep your home comfortable. In turn, you will be able to postpone the need for a costly replacement for the longest time period possible. If you interested in saving money with air conditioning tune ups in New Jersey, then please call 609-259-3210 or complete our online request form.